CLEAN TITLE. CLEAN CARFAX. 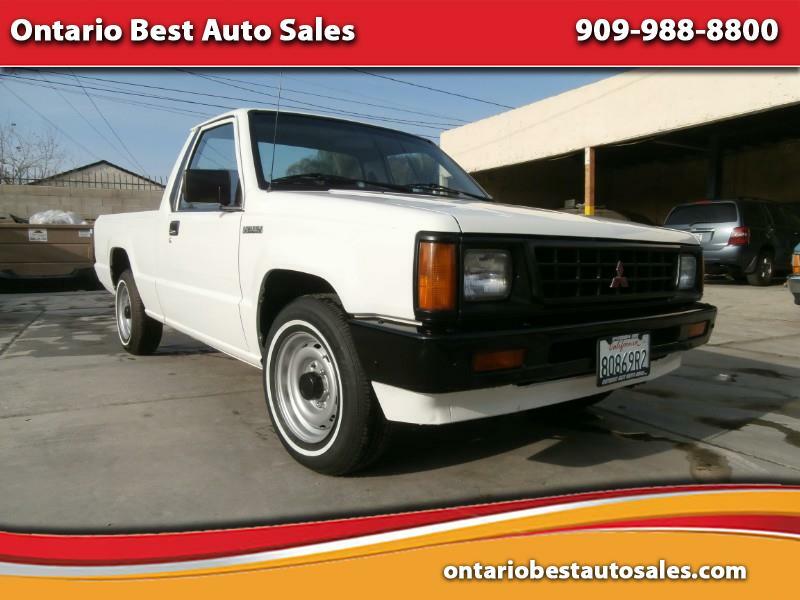 VERY RARE LEGAL RIGHT HAND DRIVE, EXTREMELY LOW AND ORIGINAL MILES, AUTOMATIC, POWER STEERING, NEW PAINT, NEW INTERIOR, NEW FRONT BRAKES, NEW TIRES, ORIGINAL MITSUBISHI RADIO, PROFESSIONAL BED LINER SPRAYED, ONE OF A KIND, LOOKS GOOD AS NEW, SHOW STOPPER - Please call or text us (909)988-8800 . See our other cars and check for the most up to date information on our site WWW.ONTARIOBESTAUTOSALES.COM .